Whether you are a novice or seasoned veteran of the game you probably face challenges in hockey from time to time. Many of these can be answered in in this easy-to-read book. 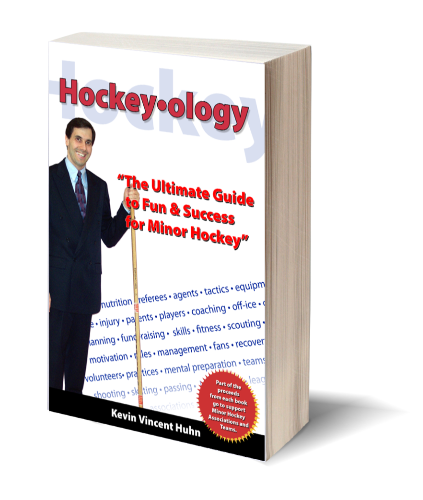 Hockey-ology shares tips, facts and secrets about all topics. It provides great advice and examples to help you have more fun. Written for anyone who is a PARENT, PLAYER, COACH, MANAGER, OFFICIAL or a fan of youth hockey, this guide contains how-to instruction, facts and other references to assist you. 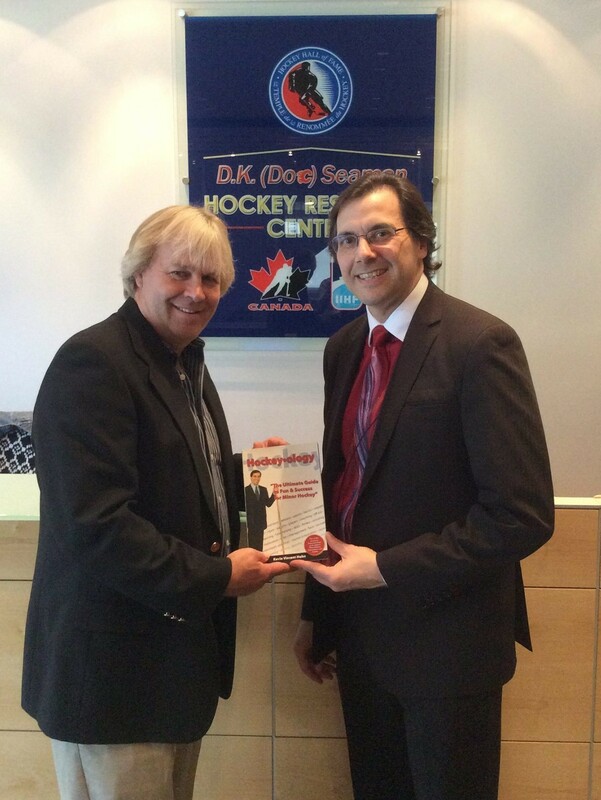 Hockey-ology was presented to the Hockey Hall of Fame’s Keeper of the Cup – Phil Pritchard in 2015. This acclaimed book reveals secrets, shares facts and best of all has a light hearted approach about minor hockey. Besides learning learn tips, how to’s and the secrets that surround the different roles in youth hockey, you will uncover step-by-step procedures to effective communication and proper skill development. PLUS there are detailed facts about buying and sizing equipment, rules in hockey and common injury. 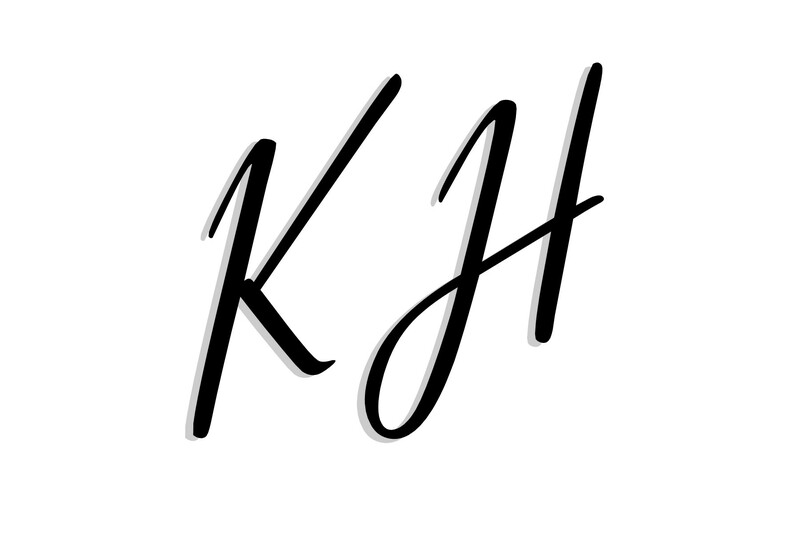 Just like you, Kevin V. Huhn, struggled over his 30 years in hockey with getting the right information. Through trial and error he decided to capture his knowledge and experience through his involvement in the game and give the insights needed to be successful showing you how to have fun while being involved in hockey. This guide was also written to be a tool that can help curve the rising costs of amateur hockey. With this book you will get a 360 degree perspective about all roles including Players, Coaches, Officials, Scouts, Managers, Trainers and Parents, — absolutely gain Secrets for communicating effectively — so 100’s of people understand your POINT, and impact your messaging! Learn the #1 fatal mistake people make when teaching and learning skating — and how to avoid it and guarantee YOUR stride is powerful! Order your e-copy of Hockey-ology Today for $1.99!